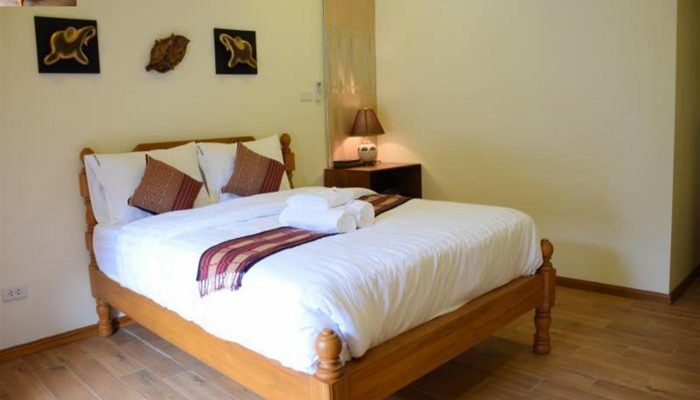 Looking for hotels in Chiang Mai? 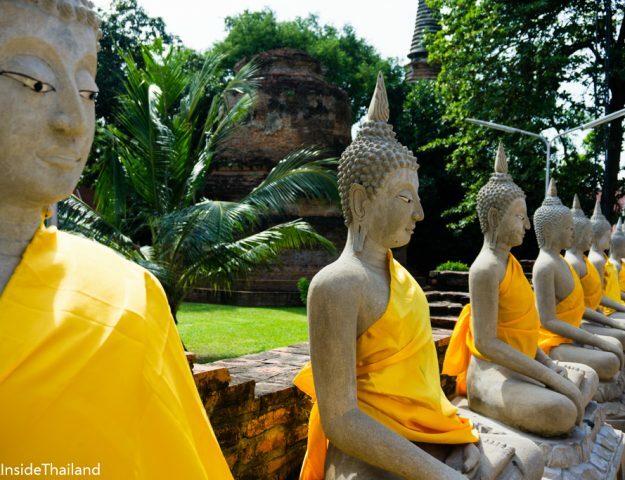 Surrounded by the ancient city, within walking distance to many of Chiang Mai’s great attractions. 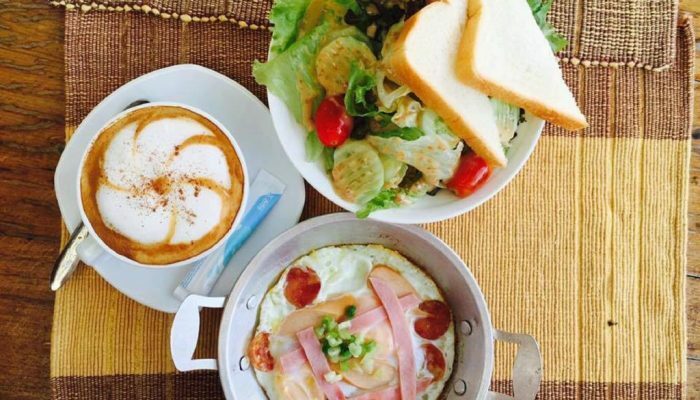 Gord Nuea Boutique Hotel is a hidden gem with charm and impeccable family style service. 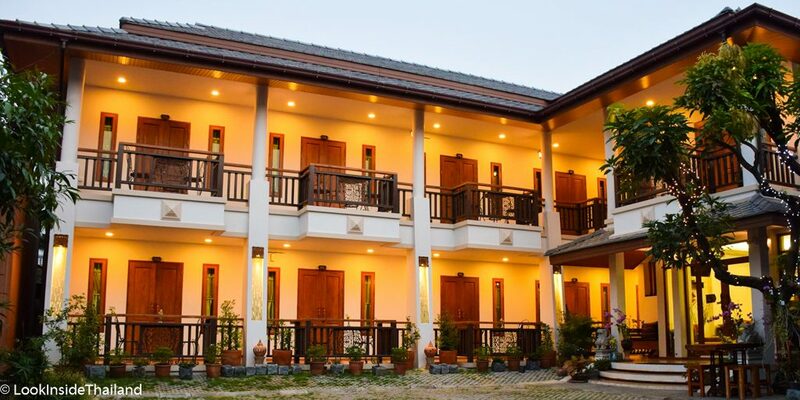 Click here to book your stay in Chiang Mai at Gord Nuea Boutique House now! It was eighteen days into a thirty-day road trip. We were traveling the whole of Thailand, shooting future videos for the Look Inside Thailand Channel. I was exhausted from the heavy shooting schedule and long car rides! My crew and I had come into Chiang Mai to do a series on the beautiful Thai temples and other attractions. We had just finished lunch and the crew was getting restless on where we were going to stay for the next few days. I had not decided yet if I wanted to stay at the normal places or try someplace new. I figured we had lots of time, so I thought, “Let me just wander around the old city to unwind a bit.” Not more than a few hundred meters into my walk, I saw a banner on the side of a wall on a private little road. Gord Nuea Boutique Hotel. What is this? Hmm.. I walked down the little soi, Thai for the word “road”, that opened up into a small court yard. There set a cute little northern Thai style building, and to my surprise, I was quickly greeted by a sweet lady named Khun Nom. 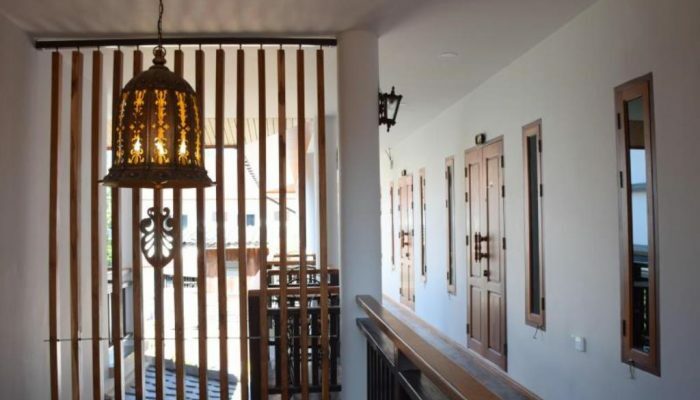 Ran by Khun Petch and her family, opened in November 2015 this northern Thai style hotel is perfectly placed to visit many of the beautiful temples and other attractions located in Old Town Chiang Mai. Ranging from a three to twelve-minute walk you can visit Wat Phra Singh Temple, Wat Pratat Chedi Luang Temple, Wat Chedi Luang Temple, Wat Chiang Man Temple and Chiang Mai Arts and Cultural Center. Within walking distance to the night markets and the famous Sunday walking street market, the location of Gord Nuea is perfect! I was honored to be one of the very first guests of this lovely boutique hotel. My experience was not like staying at a hotel at all, it seemed as if I was at a family members house. Khun Nom, Khun Nong and the lovely Khun Petch were so sweet and kind, I can not say enough about the hospitality I received from this wonderful family. They even helped me book a great cooking school experience for me and my crew in Chiang Mai, look for a future blog on that! 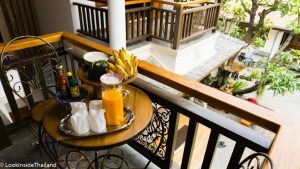 Now every time I travel to Chiang Mai this is always one of my first choices of where to stay, but book early it fills up very fast I missed it the last 3 times! 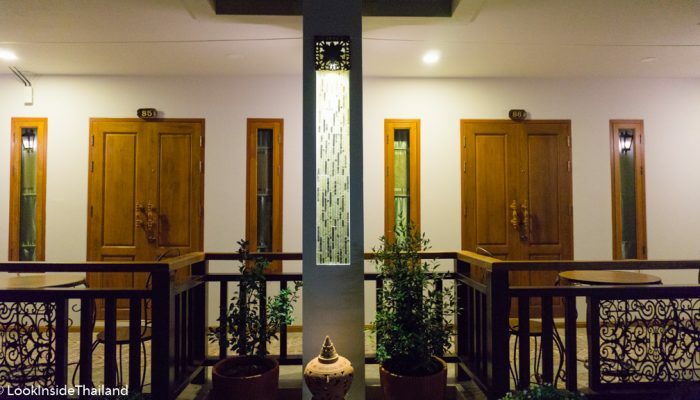 The building is designed with decorative tile walk ways leading to Thai-style double wood doors that open into each room. Outside of each room sits a small, what I like to call, a lovers’ balcony where my breakfast was served each morning. A sweet little rod iron table with two chairs sit snuggled in the balcony. The rooms have wooden furniture and lightly sun-kissed yellow walls. Deluxe rooms are 43 m² with one queen bed a little bit more private lovers balcony accessible from inside the room. 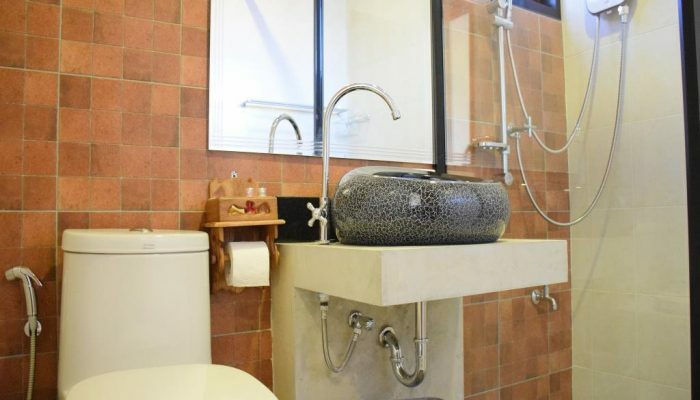 Standard double rooms are 34 m² with a single double bed. Twin rooms are 34 m² with two twin beds. The little touches in all of the rooms give you the feeling you are in Thailand with the luxury of nice bedding for a comfortable nights rest. 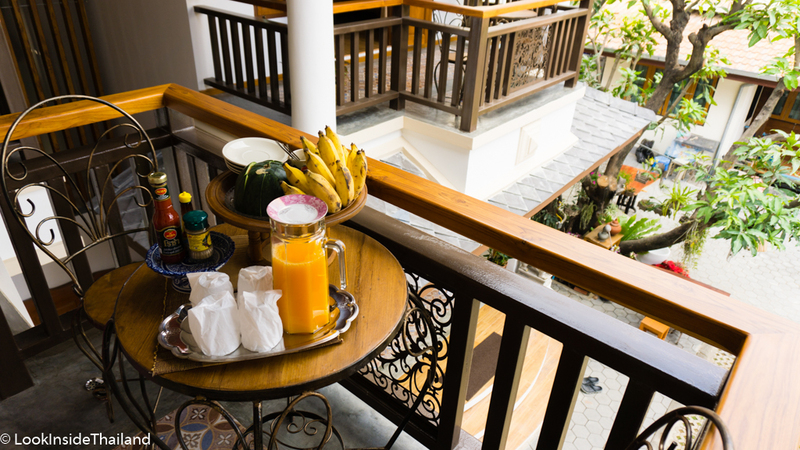 You can have your breakfast outside your room on the cozy balcony overlooking the garden. An egg, sausage, ham, toast, fresh veggies were just the right amout to get me started for the day. The fresh fruit and fresh squeezed orange juice were my favorite part yummy! Chiang Mai was a great trip and staying at Gord Nuea made the trip even better I will keep going back to visit my new friends and this hidden gem in the middle of the old city. 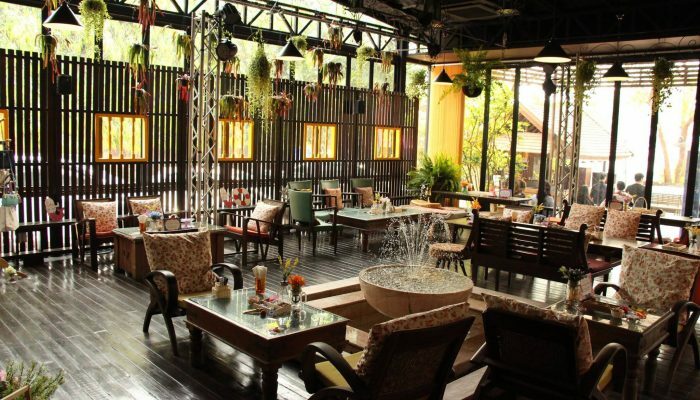 If you are heading to Chiang Mai and need a hotel, check this one out. Gord Nuea has great customer reviews and fills up fast. Have a great time in northern Thailand! 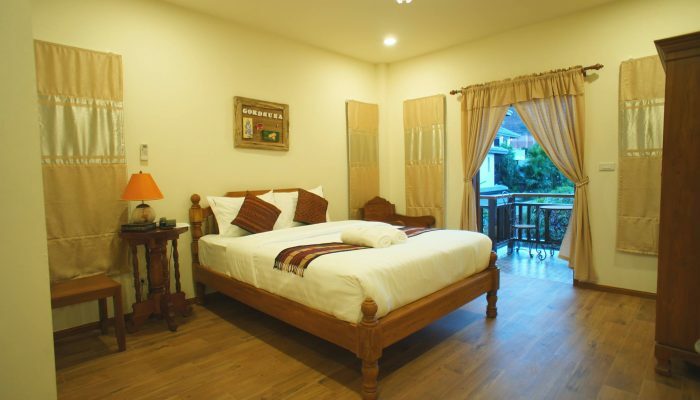 Book your stay in Chiang Mai at Gord Nuea now! Copyright © 2015 Look Inside Thailand All Rights Reserved.